The garage door for alternate engines and new manufacturers remains wide open in Supercars, CEO Sean Seamer says. The Gen2 rules under which the new ZB Commodore was introduced to allow for the development of alternate engines and remain a priority for the sport. “We celebrate what we have, but we will continue to encourage and welcome diversity of manufacturers and powerplants,” Seamer said. “We are open to, and Gen2 rules allow for, different engine configurations, induction methods and car shapes. Through General Motors in the US, Triple Eight and its engine partner KRE, a twin-turbo V6 was being developed for Supercars competition. 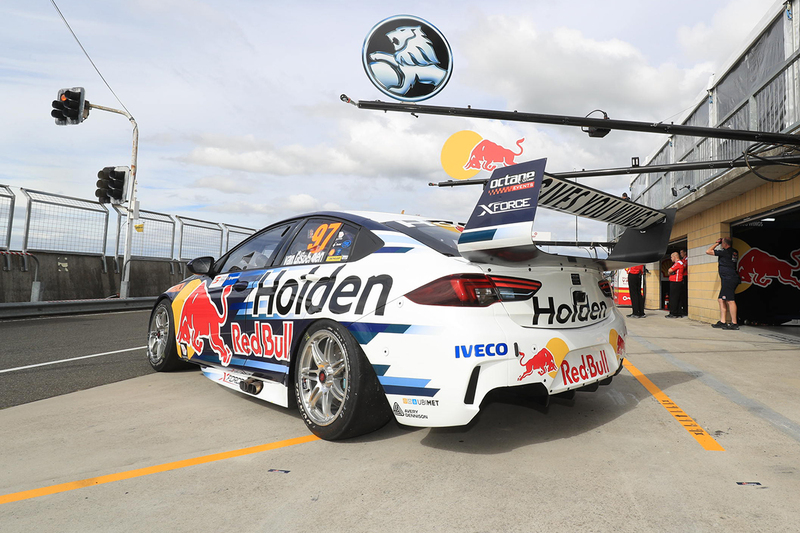 A debut via wildcard starts – including at Bathurst – was being targeted for later this year before a full-time introduction in 2019. Holden announced on Friday morning that the project had been parked in favour of focusing on the V8 powering its new ZB Commodore. The ZB is the first Supercar built to the Gen2 regulations that opened up chassis and engine options for manufacturers, and Seamer says nothing changes on that front. “In fact, the ZB Commodore, being a five-door car, could only have been homologated under the Gen2 rules. “The Gen2 as a rules framework, provides teams and manufacturers maximum choice and flexibility as to what engines and body styles they race. The new-for-2017 Gen2 regulations offer more flexibility with body shapes, including two doors, and engine configurations. Holden’s new Supercar is based on the first hatchback Commodore, joining the existing Ford Falcon and Nissan Altima on the grid.